The book is more inspired by a series of events in Pakistan. When we go backwards to the 1980s and the Afghan conflict, or the Soviet invasion of Afghanistan, a series of events was started in Pakistan that the country still suffers with today. The Taliban, terrorism, and the drug culture are all remnants of that time and we have not been able to escape it because the US invasion of Afghanistan brought it to our doorstep again. I also think that part of my motivation to write this novel was to help people understand that Pakistan is not a nation of terrorists. We have the misfortune of having self-serving politicians with no checks and balances, so the “anti-state” elements are able to prosper because many politicians and law enforcement personnel are involved for financial benefits. 2. If you had to co-author a book, who would be your ideal partner and why? I think that my ideal co-author would be John LeCarre. His ability to craft intricate and detailed characters is just amazing. While I think my characters are quite challenging, he just takes it to a different level. 3. Tell me a little bit about yourself. In terms of my background, I was born in Pakistan, raised and educated in the United States and returned to Pakistan in 1997 to pursue emerging business opportunities. I’ve spent my time in the country comparing the on-ground Pakistan with everything that I heard in the media. What a difference! There are times when I think they make up the stories that are written about the country. As an entrepreneur, I have been able to build a successful marketing and brand management company in Karachi that services both domestic and international clients, which has helped with supporting my family while I build my writing career. 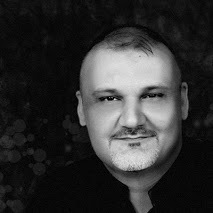 Since publishing Agency Rules in January 2014, I have written for a number of domestic publications and a few international ones, while I work on the next two books of the Agency Rules series. 4. What do you do for a living? I own a marketing company that works with international clients to develop and promote brands. We do both offline and online, so I put a great deal of the principles to work in promoting my novels. 5. What part of the world do you live in? I, like my novels, are based in Pakistan. 6. How long have you been writing? I wrote my first short story when I was 15 as a class project. I wrote my first poem for a competition at 17, didn’t win. I didn’t take up serious writing until I graduated from university and entered the professional world. With a degree in marketing, you really do become a storyteller, which most people don’t understand. I finally started to write a novella when I was 35, I think. I’m 43 now and finally got a story together that works and I am proud of enough to publish. 7. What is your writing process like? Are you a pantster, a plotter, or somewhere in between? I’m a bit of both. I tried to plot the chapters out, but that didn’t work because my writing just takes off when I sit down. I end up going in directions that I didn’t even think of while plotting. So I guess that I sit in the middle. I plot out the basic ideas for a chapter, but the writing takes me in the direction that it wants to go. 8. When and where do you write? After midnight, at my desk with my headphones on. I usually start out with a pen and paper and freeform write. From there, I sit down at my laptop and start transcribing from the paper, editing and expanding as I transcribe. I get much more done with this method than when I sit down and try to type it out. 9. What sorts of conditions are most conducive to productivity? Dead quiet. I can’t write when there are things going on around me. I need to get lost in the world that I am creating on the page, otherwise the scenes and characters don’t come to life for me. 10. What’s your favorite aspect of being a writer? Being able to express myself. I am a very social, interactive person, so I never thought that I would be able to channel all my emotions, thoughts and ideas into paper. It took a great deal of writing and wasted paper to get to the point where I could help people visualize what I was doing, thinking and saying, but I got there. Editing and revisions. I hate it. My editor and I spend hours talking about the revisions that she recommends. I argue my side, she argues hers. We try to get to a place where we are both happy with the storyline, character development and plot. Sometimes, it takes numerous sessions and conversations to get there. 12. What are the biggest challenges you face as a writer? I write about an extremely volatile topic and live in a country that doesn’t like to have these things exposed. The biggest challenge that I face is controlling what I write so that I don’t end up in a dark hole somewhere with terrorists standing over my beaten body. 13. Who are some of your favorite writers and why? I don’t have a single favorite. I love to read spy thrillers so Tom Clancy, John le Carre, Fredrick Forsyth, Daniel Silva, Ian Fleming and Robert Ludlum are big influences. But at the same time, I really enjoy the new voices in the espionage world like Tom Rob Smith, Matthew Farrugia, and Matthew Reilly. 14. What are your favorite books? Wow… best book? That would actually be a tossup between Tinker Tailor Soldier Spy and The Afghan. Both are fantastic stories with characters that you can really identify with, if you are a true spy fan. 15. What writing tools do you use, if any? Pen. Paper. A laptop and my heavy metal music. That’s all it takes for me. 16. How long does it typically take for you to write your first draft? First draft of a novel or a chapter?!? 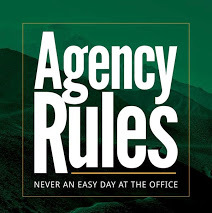 I wrote the first draft of Agency Rules – Never an Easy Day at the Office in about 4 months. That was after about 6 years of research, interviews and conversations with people in the intelligence industry. The new book has taken me about the same time. Then, we start the editing process and the beta reader process. So with all the writing, editing, and beta process, it takes about 6-7 months to finish the novel. 17. Who’s your favorite character from one of your books? Why? Since I only have one book published right now, my favorite character is Kamal Khan, the protagonist in my series. He is very dark and sinister at times through the first book. He is also very conflicted over the things that he must do as an intelligence operative. This isn’t a character that is black and white. He is many shades of grey. 18. If you could have one superpower what would it be? I have had a great deal of bad luck and bad people in my life that have done some serious damage to me in the past. It took me a long time to put that behind me and repair myself so that I could move forward to live the life that I knew I could have. If I could have one super power, I would want to be able to heal people’s scars, because everyone has the potential of being superb and no one, and I mean no one, should be allowed to stop them from achieving that.